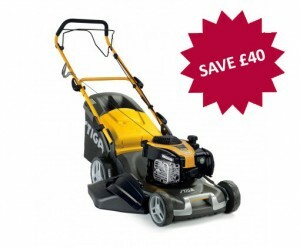 The Stiga Park 420 is an extremely versatile machine powered by a Briggs & Stratton Powerbuilt 3130 engine. It comes with a 100cm Multiclip Combi cutter deck, which converts from mulching to rear discharge, with a choice of ten cutting heights. We are offering this ride on exclusively at our Framlingham branch. 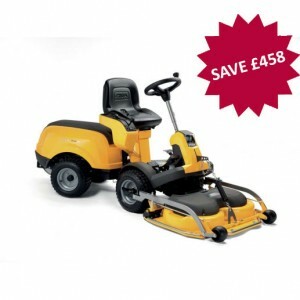 The Combi 50 SQ B is a versatile premium self-propelled lawnmower. The deck has a choice of 5 cutting height positions ranging from 25 to 65mm and will produce a great finish on your lawn whatever the condition s.